St. James Church, an imposing 19th century neo-Gothic edifice that is among Chicago&apos;s oldest houses of worship, will be demolished — likely within months — according to the city&apos;s Roman Catholic Archdiocese. The 137-year-old brick-and-limestone church at 2936 S. Wabash has been closed for more than two years due to structural issues that also forced the archdiocese to put protective scaffolding over the sidewalk in front of the building. The church&apos;s condition is also the subject of pending case in Building Court. "It needs to be rebuilt, essentially, or demolished," said Tom Kennedy, the archdiocese&apos;s director of real estate. Kennedy said it could cost as much as $12 million to rebuild and restore the church. The archdiocese has begun a campaign to build a new St. James Church nearby for about $4 million — a plan that was announced to the congregation last August during a visit by Cardinal Francis George. "It&apos;s a viable parish that the cardinal wants to support," Kennedy said. The archdiocese last month applied for a city permit to raze the building — an outcome that would also remedy its Building Court case. 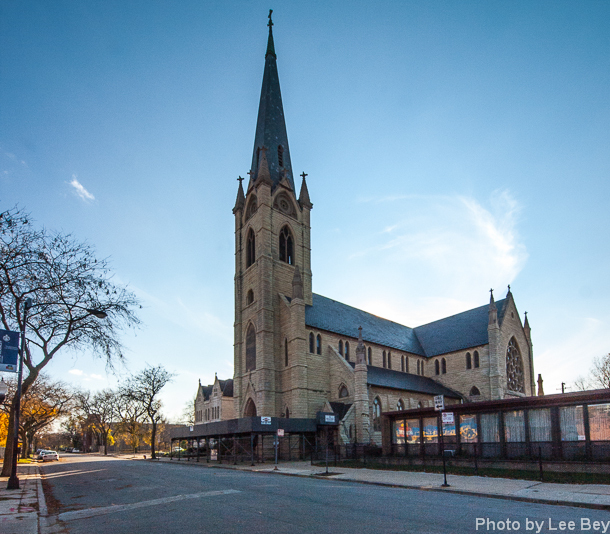 The application is under an automatic 90-day city review because the church is listed in the Chicago Landmarks Historic Resources Survey as having "potentially significant architectural or historical features." The city is unlikely to halt demolition or grant protected landmark status to St. James; an ordinance prevents landmarking houses of worship without the congregation&apos;s consent. Kennedy said he expected to have the demolition permit issued in time for a January 2nd Building Court hearing on the church. 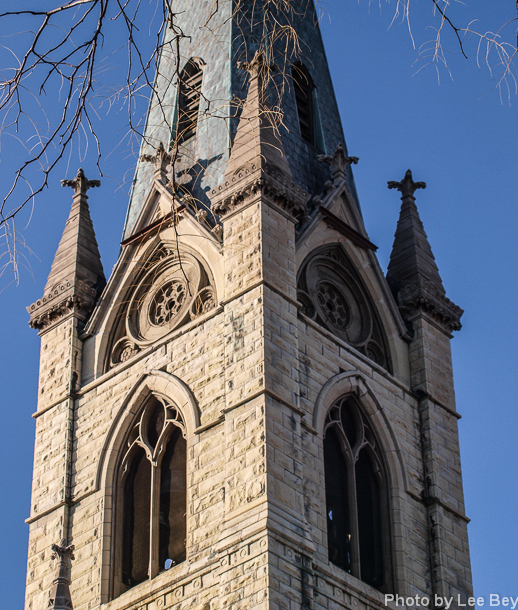 With a cornerstone set in 1875, St. James is the work of the prolific Patrick C. Keely, an Irish-born architect from Brooklyn who designed 600 houses of worship across the country. Keely&apos;s work includes Holy Name Cathedral at 730 N. State; St. Stanislaus Kostka at 1351 West Evergreen; and the Basilica of the Sacred Heart at Notre Dame University. 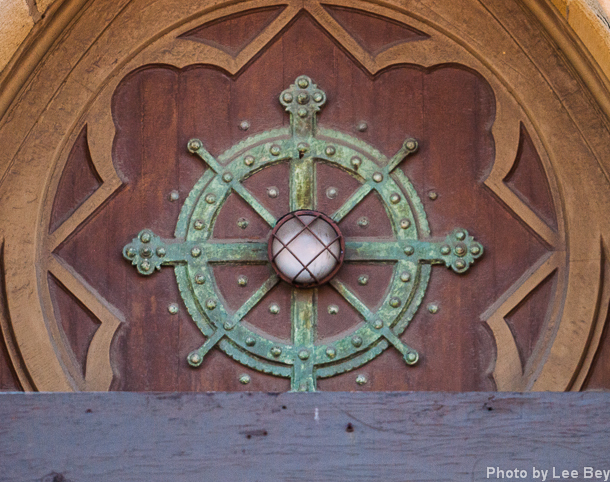 Built for an original congregation of upwardly-mobile South Side Irish immigrants, St. James came complete with white Carrara marble altars, a tower with a 20-bell carillon in its belfry and a worship space enlivened by Tiffany windows. (The windows were lost in a December 1972 fire at the church, however.) The church sat just over 1,000 worshipers. Kennedy said much of the building&apos;s finery has been placed in storage for reuse. The bells in the carillon will be saved along with the Roosevelt tracker-pneumatic organ — one of a relative few reminding in the country, according to the Chicago-Midwest chapter of the Organ Historical Society. The congregation has been worshipping in the nearby parish center for more than two years.